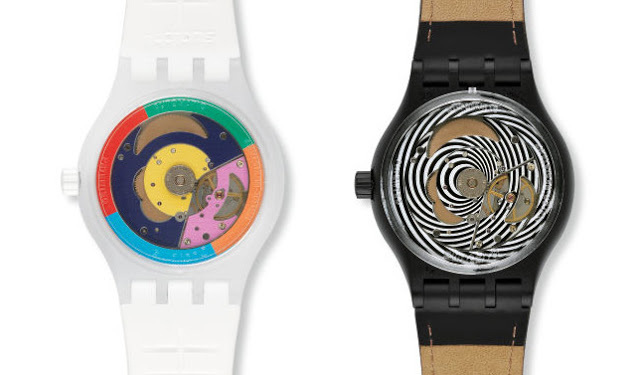 The landmark Swatch Sistem51, the first ever mechanical watch assembled entirely by machine, is finally available, but only in Swatch stores in Switzerland until next year. Launched at Baselworld in March 2013, the Swatch Sistem51 is undoubtedly one of the most significant watches of the year. 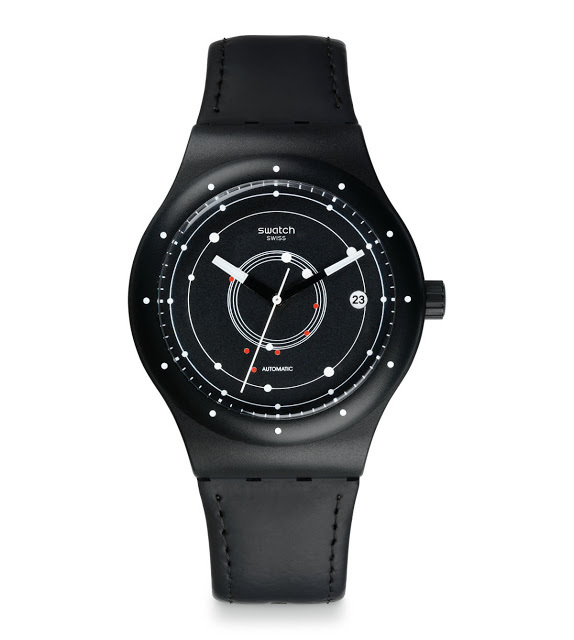 Not because of the watch itself, which is yet another plastic Swatch, but because the Sistem51 is a vastly simplified mechanical movement made entirely by machine. 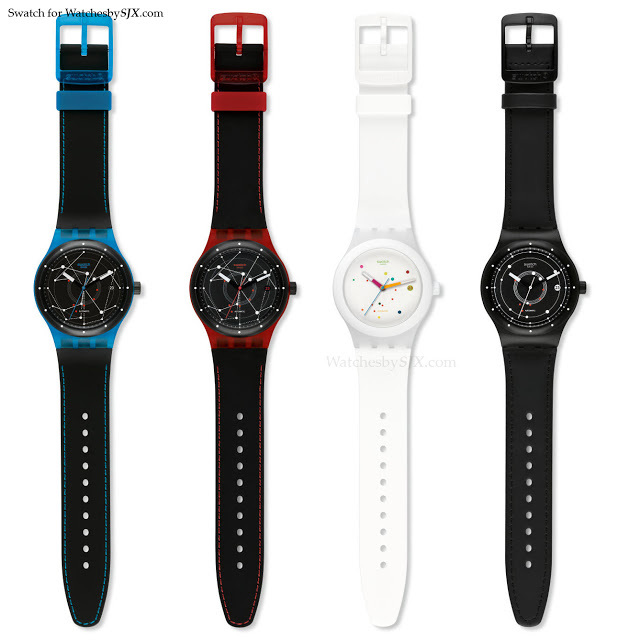 Four versions are available, Sistem Blue, Red, White and Black. All have plastic cases with either rubber or leather straps. 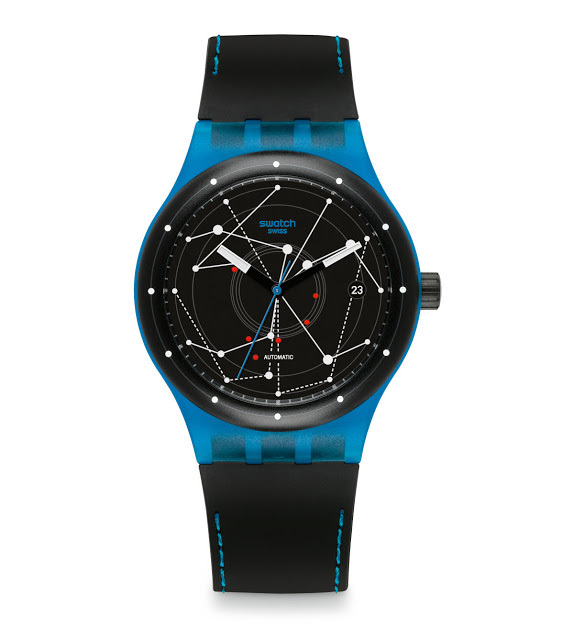 They are priced at SFr150 each, which is about US$169. 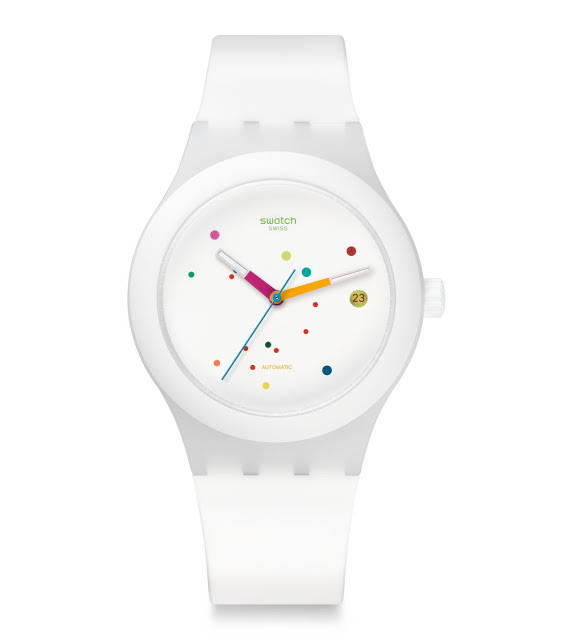 The respective movements are in colours matching the dials.